Hey there, in the last post we provided you with a list view of Top 5 Best Paid Cydia Tweaks iOS 7.1 to 7.1.2 Pangu Jailbreak follow the link. 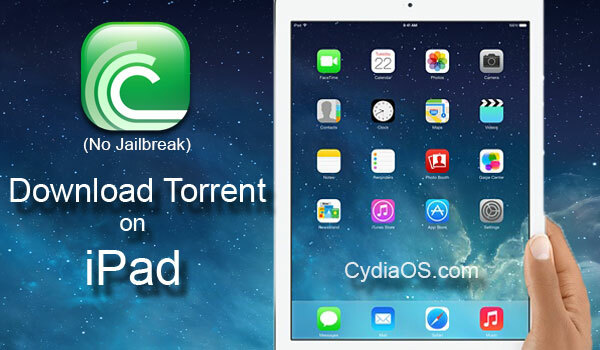 For the full list of Top 30 Best Free Cydia Tweaks for iOS 7 to iOS 7.1.2 follow the link. 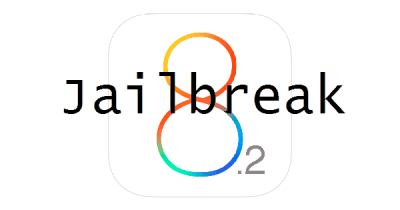 For a list of all the Paid and Free Cydia Tweaks that are compatible with iOS 7.1 to 7.1.2. In this article, we’re going to cover the Best Top Five must have Free Cydia Tweaks for iOS 7.1, 7.1.1, 7.1.2 (iOS 7) that are working 100% on Pangu Jailbroken iPhone, iPad and iPod. 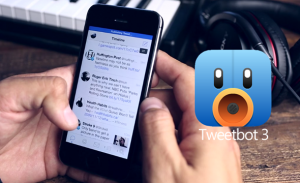 Most of these tweaks are old favorites of many regular jailbreakers, some of them are brand new ones. Since the Pangu Jailbreak patch is still new we put together just a handful of some of the best free Cydia Tweaks available out there. There are many other Favorite Tweaks we personally would have liked to have, but we know that they’re being worked on as we speak. 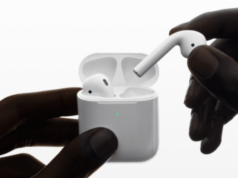 As soon as we get the news on any new interesting tweak we’ll update this list. This awesome free jailbreak tweak allows you to add animations to your homescreen apps when you are scrolling your homescreen page. It comes with a bunch of stock animations. You can either use them as they are or you can switch and combine them to make your own customized animation. If you are a customization buff, this tweak is a monster of a utility to play with. For this amazing tweak to be available free is a very cool move on the developers part. 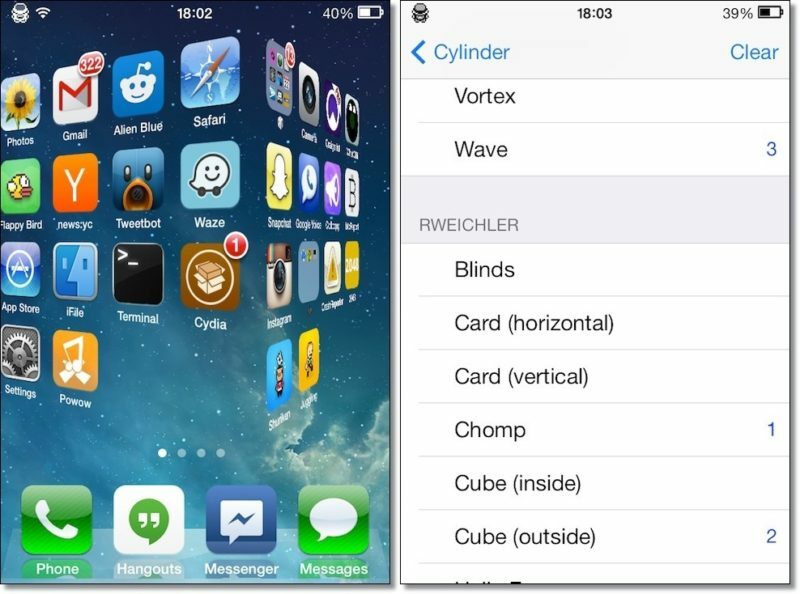 That’s why we give cylinder the top spot on our free tweaks list. As you may have already known via one of our previous posts about JellyLock7, it is the best awesome LockScreen available out there on Cydia. 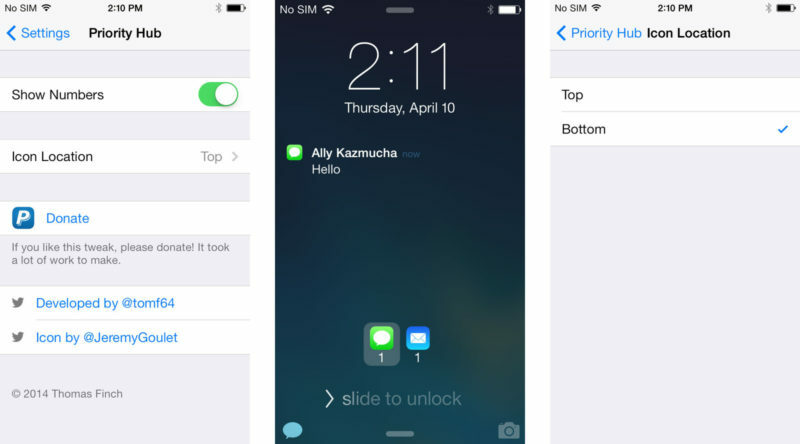 This jailbreak tweak not only brings the Android style lockscreen to iOS but also delivers as one of the most effective and efficient ones ever seen on Cydia. 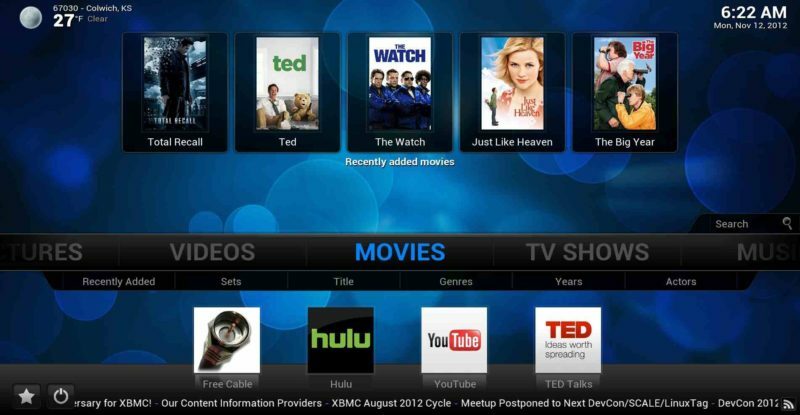 It gives you the option of setting Application Shortcuts for upto 6 Apps of your choice. This comes with a lot of potential for customization, appearance changes and supports more than 90% of the best iOS 7 themes. 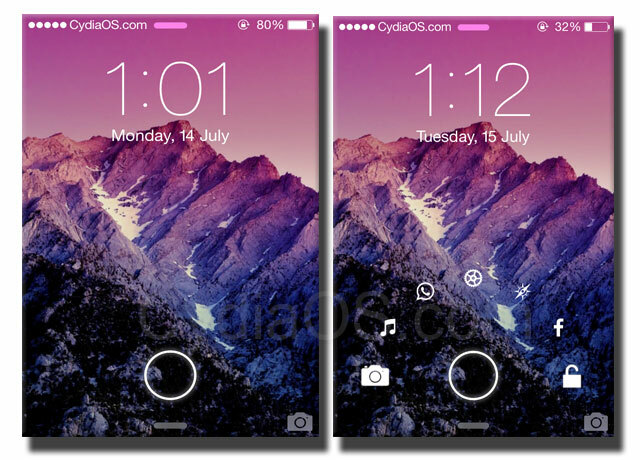 It is amazing to note that the developer of JellyLock 7 has made it available for free. Alkaline allows you to customize the battery icon on your iOS 7 device without requiring to use WinterBoard. Its greatness lies in the fact that it bypasses the need to have WinterBoard installed on your idevice for battery icon customization. There are a bunch of lively battery icon themes that come free with Alkaline. You can also use a number of other awesome battery icon themes available available on Cydia with Alkaline. 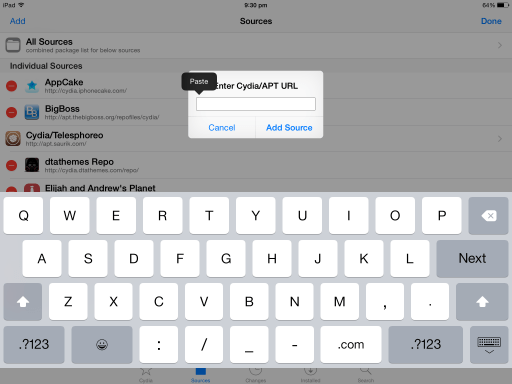 It is supported by a lot of top-end iOS 7 themes on Cydia. This Free Tweak allows for some fun customization with your battery icon. 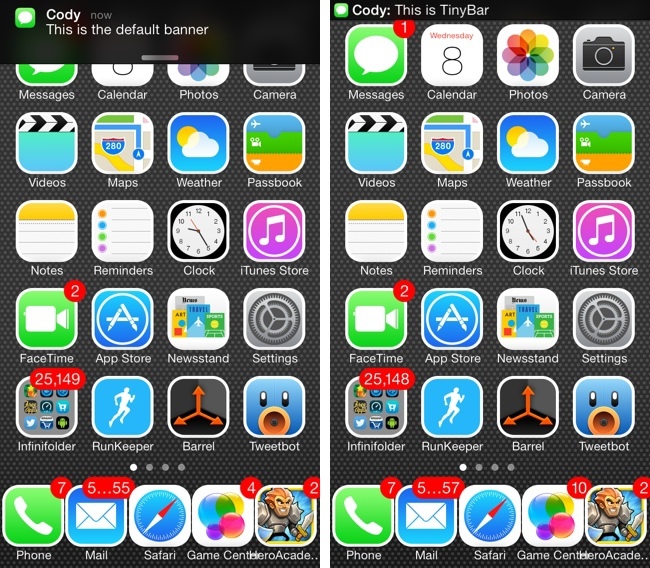 TinyBar is this extremely useful tweak that provides the user with small size banner-notifications. It reduces the size of the banner notifications so that they do not interfere much with your Status Bar. It especially comes in handy on iOS 7 or above, since Apple has made the banner-notifications even larger in size on these platforms; thus annoying the user whenever a notification pops-up in the Notification Bar. TinyBar especially suits the users that get lots of notifications and would still like to carry on with their work by just having a short glance at their notifications. This free cydia tweak also has the feature where the incoming notifications actively scroll in the notification bar so that you can read the entire text without having to enlarge it. It is a very convenient way to sort out your notification priorities on your lockscreen. It simulates a hub interface on your lockscreen which lets you decide which Apps’ notifications are more important and which ones are not. Priority Hub works perfectly for those users who have a tight day-to-day schedule and are actively dependent on the notifications given by their Apps. Using this free Cydia tweak you can set priorities on particular Apps so that you won’t miss a single notification that is important to you at the cost of a few unimportant ones. Alright, so these are the best free Cydia tweaks currently compatible with pangu jailbroken iPhone, iPad and iPod. We’ll update this list as soon as we get new great must have tweaks.